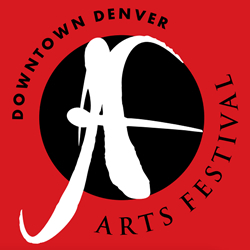 The Denver Arts Festival takes place in Denver Colorado in May. Don’t miss this large Colorado Art Event as over 100 featured Colorado artists, and a number of national artists, display fine arts and crafted juried pieces. This annual Art Festival is one of the regions largest Arts Events, with around 150,000 attendees celebrating the wonderful Colorado Art scene. The Denver Arts Festival event celebration is held over the Memorial Day weekend and features free admission to the public.